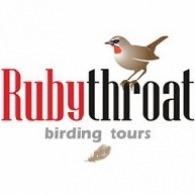 Rubythroat Birding Tours was founded in August 2011 by Machiel Valkenburg. Machiel worked since 2006 for Central Asia Birding but decided to continue on his own in 2011 under a new name. Machiel came to the decision to establish Rubythroat Birding Tours, as he wanted to share his experience with other interested bird- and nature travelers. He chose the name Rubythroat Birding Tours as Rubythroat’s are beautiful birds breeding in Central Asia and Siberia and wintering in other parts of Asia. From this region we bring you the best birding available, and we should come across a Rubythroat or two during our travels Rubythroat Birding Tours has its main office in Kazakhstan, in the very heart of Central Asia. Rubythroat Birding Tours was born out of a passion for nature in Asia. This has resulted in being able to offer bird and nature tours to this whole mighty region. We would be very happy to help you to organize and design your nature or birdwatching holiday in Asia. Over the years, we have gathered great experience and knowledge of the avifauna and nature reserves of large landmass. In addition, we have a large network of reliable partners at our disposal to help us with the creation of the perfect nature and/or bird watching holiday, to countries that are normally difficult to access. All accommodation in hotels, tents and yurt camps. All meals plus enough bottled mineral water (up to 3 l. per person per day). Expert tour leaders and expert local guides. The items which you will be required to pay yourself are those of a purely individual nature such as travel and healthy insurance, visa and personal expenses as alcoholic beverages or souvenirs. On the top of every trip page we give the price for the tour which is the costs of the logistics in the country. The price for the international flights is given separately which is the best estimate of the flight costs we can give at the time. Flight costs vary drastically and it is impossible for us to calculate these costs before publishing our tours, sometimes more than 18 months in advance. In this way you are able to book your flight against costing price. Therefore we find this a much fairer system. RBT will be happy to make any domestic or international air travel arrangements from your home and return. Please be sure to check with the RBT office prior to purchasing your air ticket to confirm that the tour is sufficiently subscribed to operate. RBT cannot be responsible for any air ticket penalties. Rubythroat Birding Tours has many years of experience in organizing bird and nature travel in Asia. We offer a large schedule with fixed departure tours for small groups with a maximum of 12 participants visiting many destinations in Asia. And when we say small groups we mean small groups! Tours go ahead mostly with a minimum of 4 participants. Tours with more than 10 participants always have a second leader joining to make sure that the leader/client ratio keeps positive. In this way we can assure our clients of a high standard trip with a personal touch. For our full travel range please have a look at our TOURS page. Rubythroat Birding Tours offers not only fixed departure tours but also organizes individual tours for those who want to experience the flora and fauna of Asia on their own or with their own little group. We can arrange a tour based on one of the available tours or we can also design an itinerary at your request. Let us know your wishes and we will try to accommodate you as much as possible! Drive to the mountain Tabozhok along the Tabozhok river valley.